‘Tis the season to eat delicious food and be merry, so leave the Christmas catering to us! 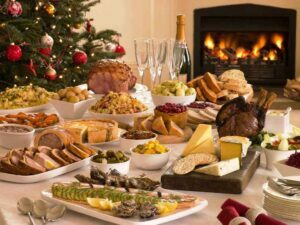 We’ll create a sumptuous array of your favourite Christmas foods for your office Christmas party or private Christmas functions. Whether you want to offer your guests a sit down dinner, finger food menu or a buffet we will tailor your Christmas catering to your budget and special dietary requirements. You can trust Yum Catering to offer only the best service and most delicious food to you and your guests. You will be pleasantly surprised by our beautiful presentation and very generous portion sizes. 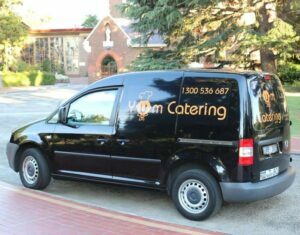 All our food is prepared fresh to ensure our commitment to having the highest standards of catering in Melbourne. We will create the perfect menu to suit your event. Get in touch with Yum Catering to find out how we can make your Christmas catering simply YUM! Did you hear us on Radio Station Joy 94.9?